This release has been a while in the making while I've re-written some underlying and fundamental bits of bliss. That's why there's little new, functionally, in this release. But my philosophy is always to release often, so here's the latest release. There's one bonus new feature: rescan for new and updated music files! 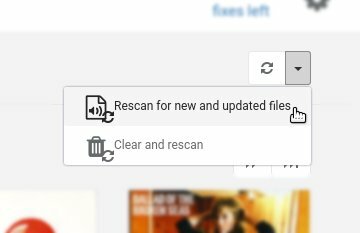 Rescan for new and updated files tells bliss to go back to the music folders and look for any files that have changed or have been added. These are then passed to bliss, assembled into albums and assessed against your rules. The difference to the standard Rescan option is that existing albums without changes aren't rescanned. This is useful for cases where Listen for file changes and assess music automatically doesn't work, either technically or because you just don't want that option enabled. 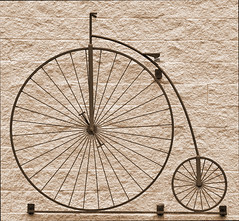 It's worth re-iterating the previous blog post. Due to changes in the way bliss works, in-app update will not update to this version. In fact, any version of bliss released prior to this one will not update to this version or any subsequent version. However, once you have updated to this version or a subsequent one, manually by running the installer, you can use in-app update again. I know this is a pain but I thought it a necessary transition and I'm already seeing the benefits of a streamlined build and development process. We've finally fixed the occasional (although constant for some) Windows 64 bit installer crashes! In app update will not work for this release. That's because of the changes I wrote about in my call for beta testers. Existing users should download the latest and install manually, and from then on in-app update should work again.